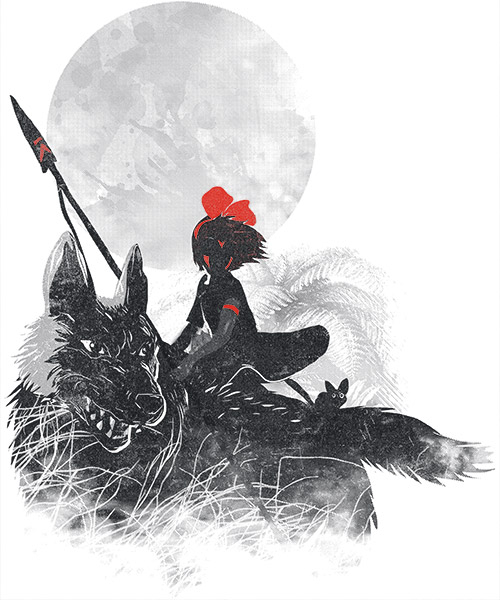 Creativity – Wonderful way to portray these Game of Thrones characters with their animals. 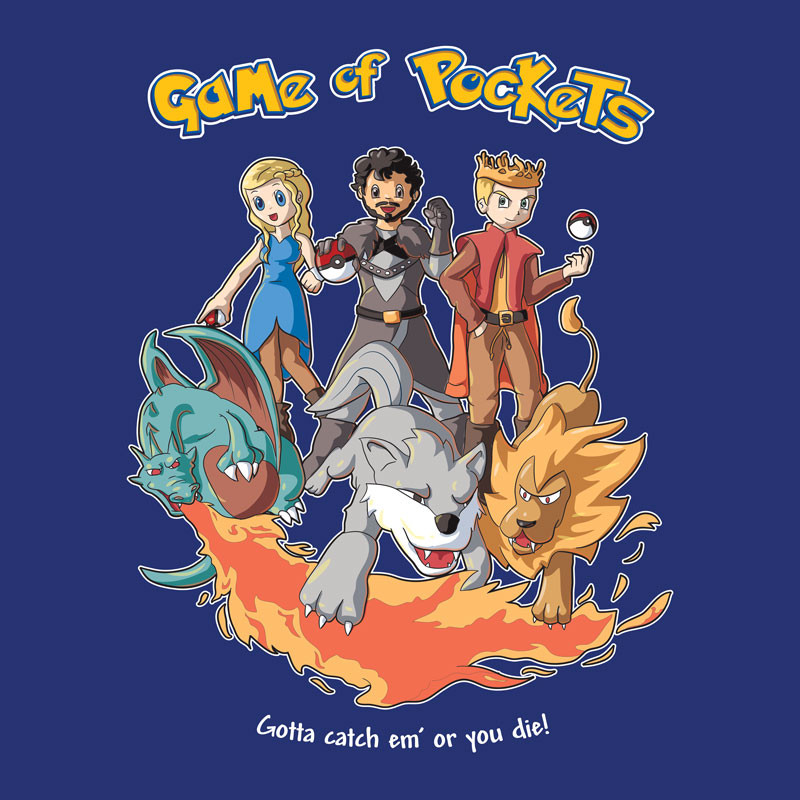 Execution – Daenerys, Robb, and Joffrey are easily recognizable while also looking like Pokémon trainers. 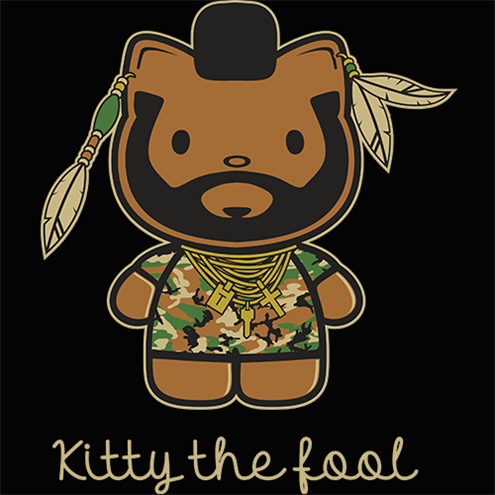 Comical – Interesting mash-up of the big, tough Mr. T as the cute bubbly Hello Kitty. Comical play on words. Execution – Nice clean rounded lines and bold block colors that represent the Hello Kitty aesthetic. 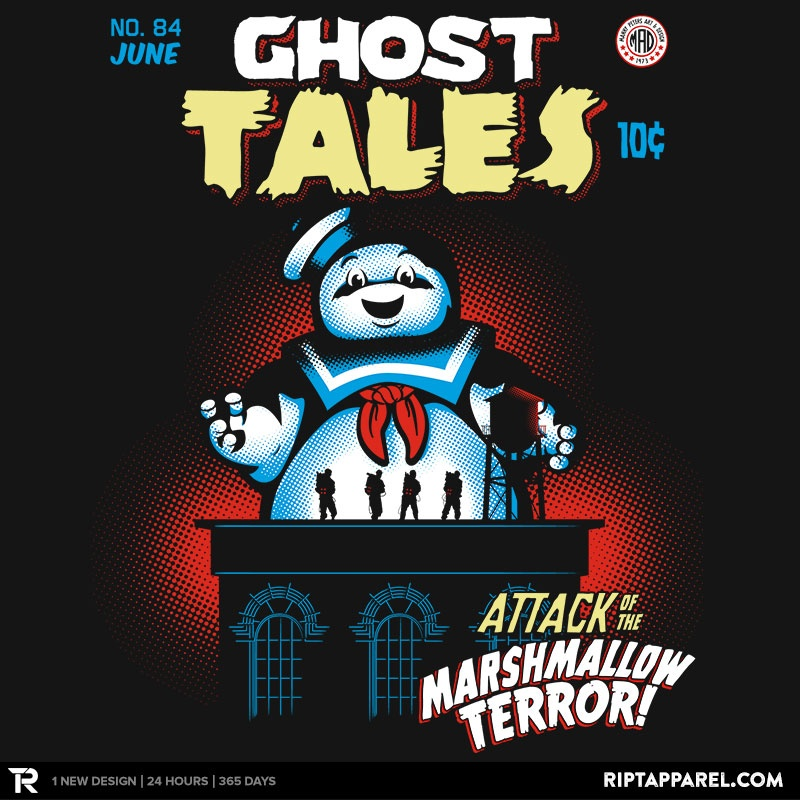 Composition – The Stay Puft Marshmallow man towers over the silhouette of the little heroes dominating the design. 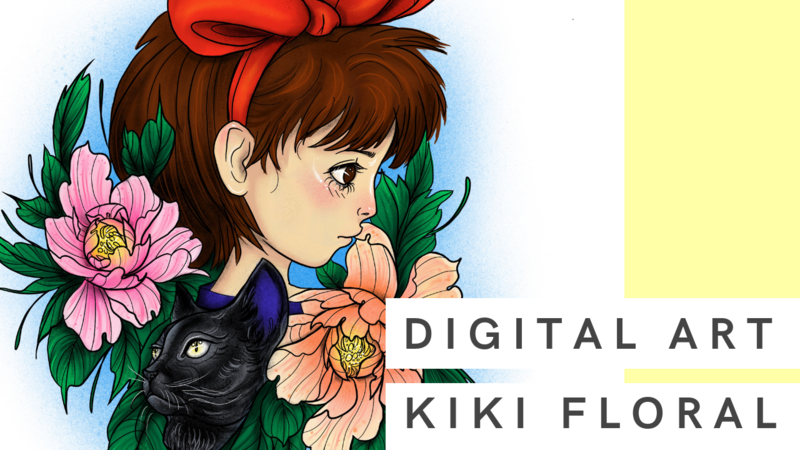 Color scheme – Wonderful bold colors and very nice use of half tones. Execution – Effectively looks like a comic book cover. Super interesting, I would enjoy reading this comic. I also really enjoy the building. It is nicely outlined and created out of the negative space. Typography – Type looks great! The various fonts look great together. I really like the lower right curved block of text. Color Scheme – I really enjoy the combination of the warm orange-brown with the cool gray-blue. The colors work together nicely and offer the contrast of both warmth and cool. I also really enjoy the yellow glow of the Ecto Trap. Texture – Wonderful stippling texture of the background and foreground ecto glow. The nice deep wrinkles in the jumpsuits are descriptive and also add wonderful texture. Composition – I really enjoy the angle in which the scene is set. 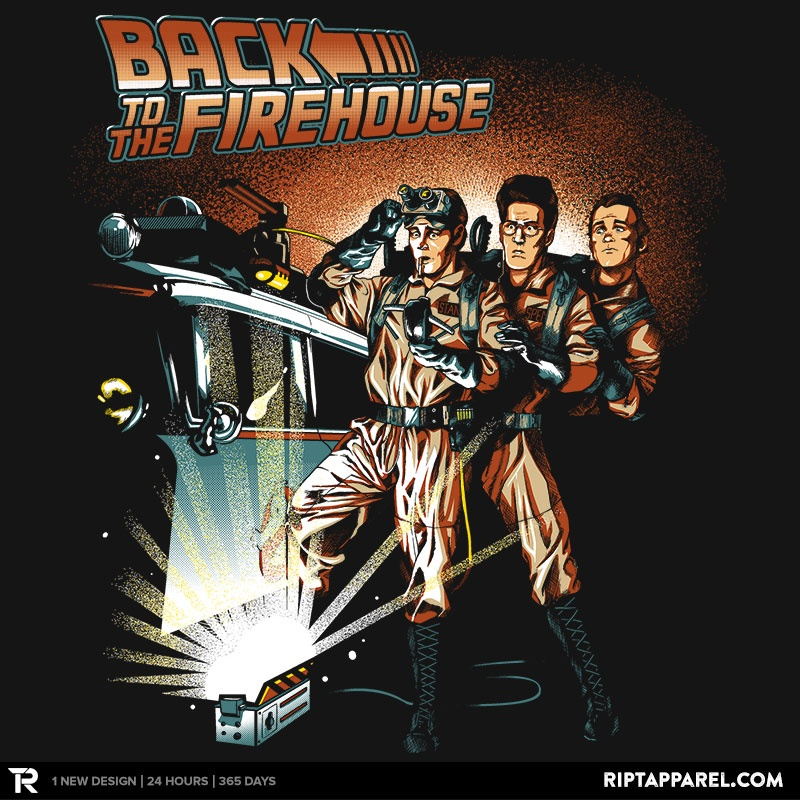 It keeps the design dynamic and also nicely showcases the Ecto-1 vehicle and the three men. Execution – Nicely resembles the Back to the Future poster. All three men are easily recognizable as Bill Murray, Dan Aykroyd, and Harold Ramis. Color Scheme – Wonderful shades of gray with a pop of bright red. I really enjoy the washy light gray background giving the design a sense of aerial perspective. Texture – I love the white wild wiry lines in the foreground that suggest tall grass. The light gray water-color splash within the moon are amazing. Contrast – Wonderful play with positive and negative space. 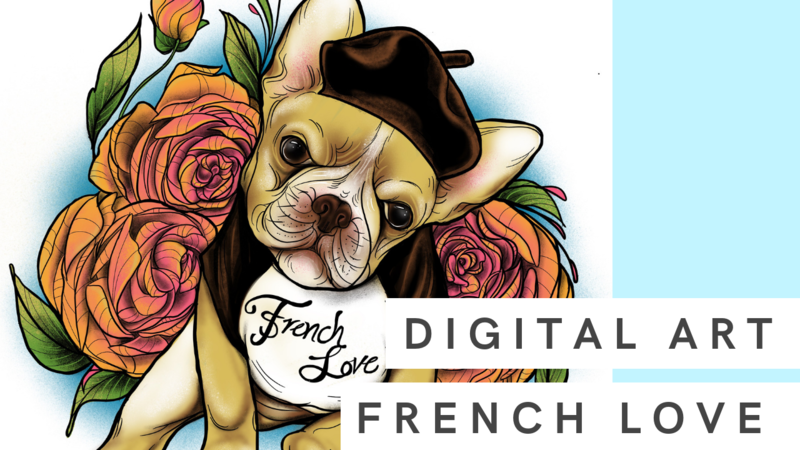 Comical – While dark and sad, the design has its own comical charm. 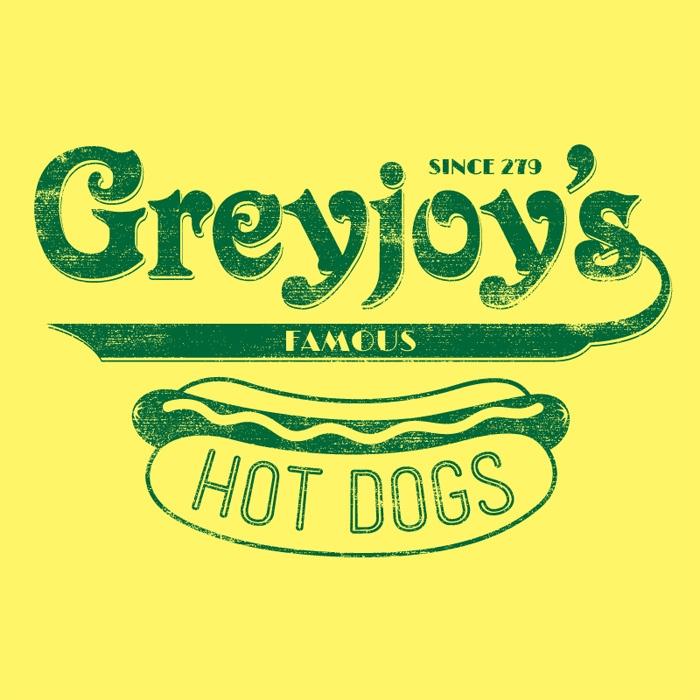 Execution – Design looks similar to the Nathan’s Famous Hot Dogs design. Simple clean design that almost requires a second look to catch the message.